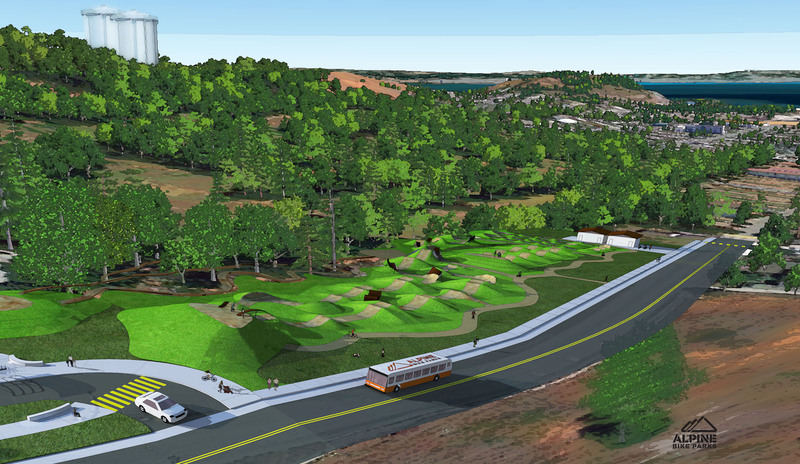 Earlier this year, we contracted Alpine Bike Parks to work with us and the community to create a concept design to take through SFRPD Commission approval. The plan has met with much community support and is supported by SF Recreation and Parks as well. In fact, they have paid staff dedicated specifically to making MBP a reality. Check out the rendering below to see what you could be riding in the city of San Francisco! Please support McLaren Bike Park by becoming an MBP Founder!